Our Slow Twist Bit is made of amazing craftsmanship made using only the most excellent quality material obtainable.This item give lateral control and measures 1 1/2'' in rings and 13mm mouth. Our Full Cheek Bit is an extraordinary product that will provide maximum comfort for your horse. This item is made of top quality materials that will last a lifetime. 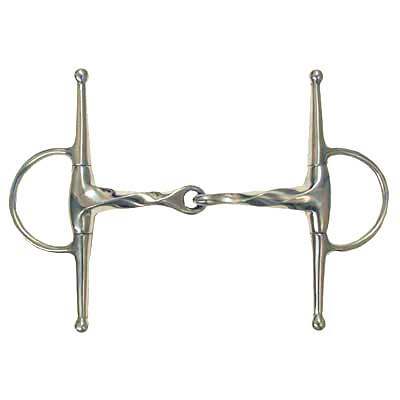 The Slow Twist Full Cheek Bit that we offer is a Top Quality item for your Horse. All our items are sold at unbeatable discount prices.